In evaluating opening trainers, I pay particular attention to how well side-lines are covered. In weekend tournaments, I noted that successful players often eschewed main lines in favor of side-lines they knew well. Opening books often don't cover such lines in any depth, and in some cases, not at all. Martin usually does well in this department, and spends five games of the twenty-nine on these. He also notes that many of them are "tricky," which is precisely why you need to know them. He does well usually, but misses on a few occasions. For example, in the line 1.e4 e5 2.Nf3 Nc6 3.Bb5 a6 4.Ba4 Nf6 5.0-0 Nxe4 6.Qe2 is a move designed to not commit the rook to e1 but allow it to come to d1, 7.Bxc6 dxc6 8.d4 Ne6 9.dxe5 opens the d-file. Here Martin correctly avoids the most commonly played move in this position, 9...Bc5, in favor of 9...Nd4! 10.Nxd4 Qxd4. 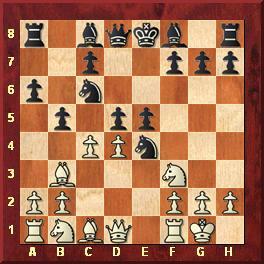 Now 11.Rd1 is played, and Black will have two good moves to choose from: 11...Bg4, or 11...Qg4. But Martin fails to consider Euwe's recommendation here, the prophylactic 11.h3!, which should lead to a decent game with chances for both sides. 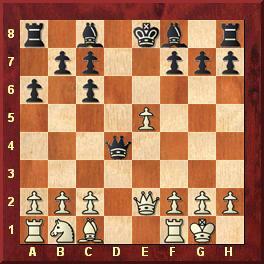 After 11.h3, the best retort is 11...Be6, allowing the black queen to go to c4 in case of Rd1. Certainly Black still has slightly better chances with the bishop-pair, but his four to three majority on the queenside is also a bit crippled. Another tricky position comes after 1.e4 e5 2.Nf3 Nc6 3.Bb5 a6 4.Ba4 Nf6 5.0-0 Nxe4 6.d4 b5 7.Bb3 d5 8.c4!? (Martin calls this move "insane-looking"). 8...bxc4?! leads to 9.Ba4, and thus Martin recommends the simple approach with 8...dxc4, giving 9.Bc2 Nf6 10.dxe5 Qxd1 11.Rxd1 Nd7 and Black is a pawn up with a good game. I am not certain of this, as it looks like the pawn break 12.a4! (12.Nc3 might be good as well) will equalize. But instead of 9.Bc2 White will play 9.Qe2, retaining some attacking chances, as in the game Trindade-Grivas, Belfort 1983. Euwe, again, recommended the counter stroke 8...Bg4! Here I am also convinced this active move is more in the vein of the Open Defense, and unlike his various "distillations" in the Queen's Gambit trainer, where you can pretty much rely on him to pick the best continuation, Martin falters a bit with his coverage of these tricky lines. However, one can't expect a four hour DVD to cover everything – that is what your database is good for! Martin's coverage of the main lines is impeccable, and I leave you with this game in which the mighty Seirawan gets beaten by an unknown. This is an example where Black's piece activity is impressive, and is the kind of game that makes you take up an opening like this. Two pieces versus a rook is not always an advantage!